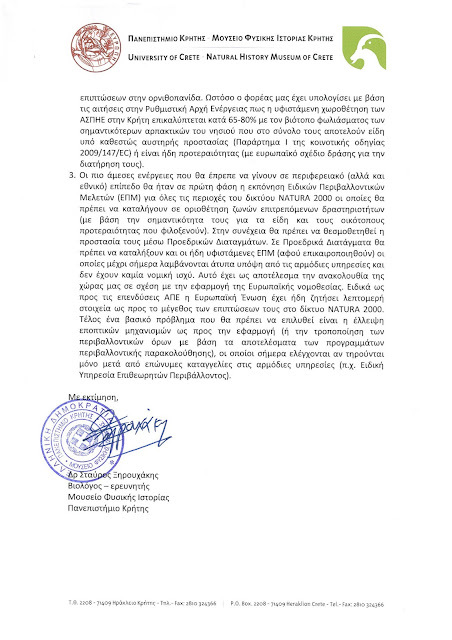 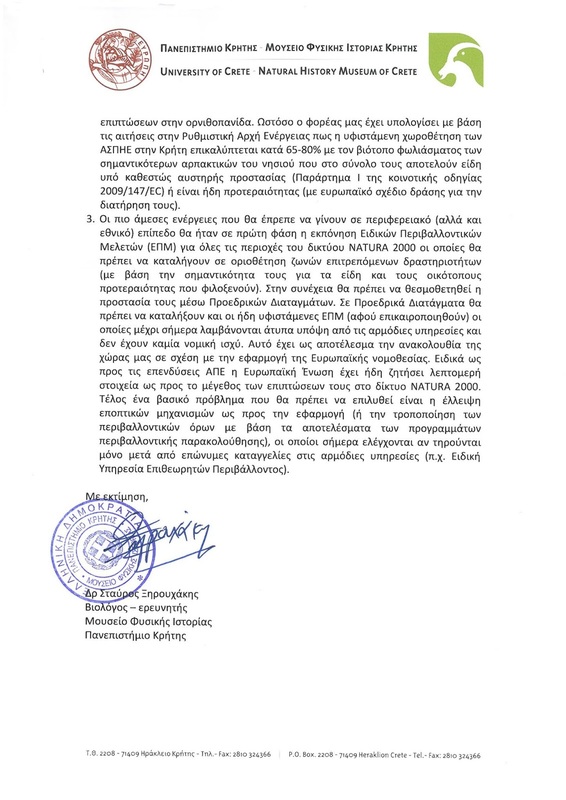 Οι τουρμπίνες ΦΑΙΝΕΤΑΙ να γυρνούν αργά. 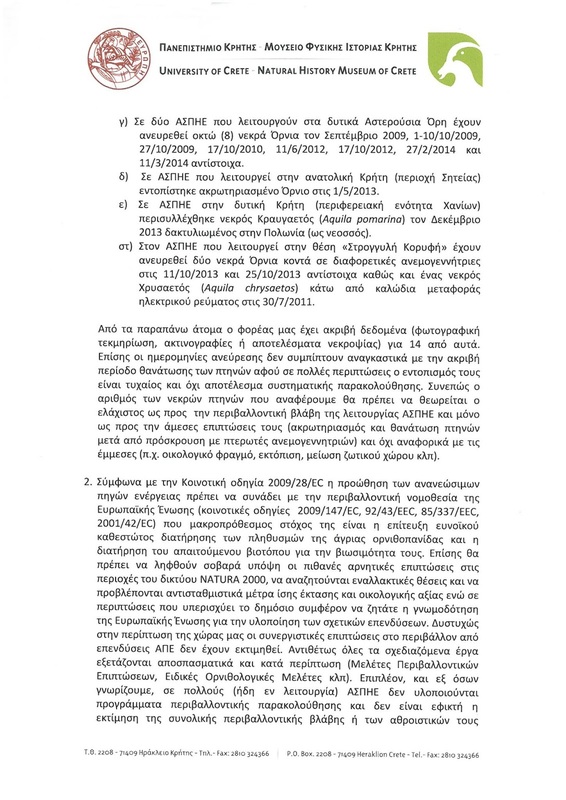 Αλλά αυτή η αίσθηση είναι παραπλανητική: λόγω του μήκους των πτερυγίων, η ταχύτητα στην άκρη τους μπορεί να φτάσει τα 292 χλμ/ώρα. Φαίνεται ότι τα πουλιά δεν αντιλαμβάνονται πλήρως την κίνηση των περυγίων λόγω του φαινομένου "motion smear"
Όλα αυτά τα πτώματα στο INSTITUTE FOR RAPTOR BIOMEDICINE JAPAN/KOSHIRO- HOKKAIDO είναι θαλασσαετών που χτυπήθηκαν από ανεμογεννήτριες για την παραγωγή "πράσινης ενέργειας" και πέθαναν. 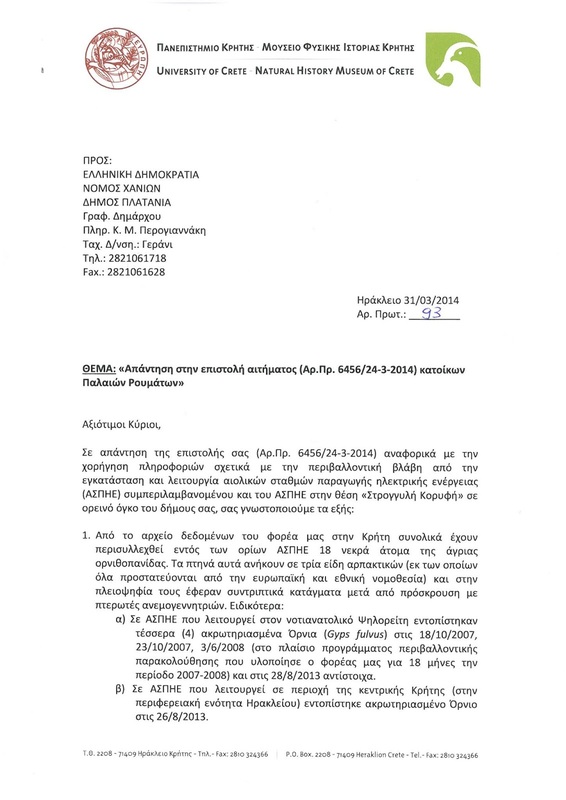 Για όσους πιθανόν δυσανασχετούν με τις φωτογραφίες των νεκρών πουλιών στην ανάρτηση, μια επισήμανση του αρχικού συντάκτη: Υπάρχουν φορές που πρέπει να αντιμετωπίζουμε τα πράγματα κατάφατσα και να μη αποστρέφουμε τα μάτια μας. 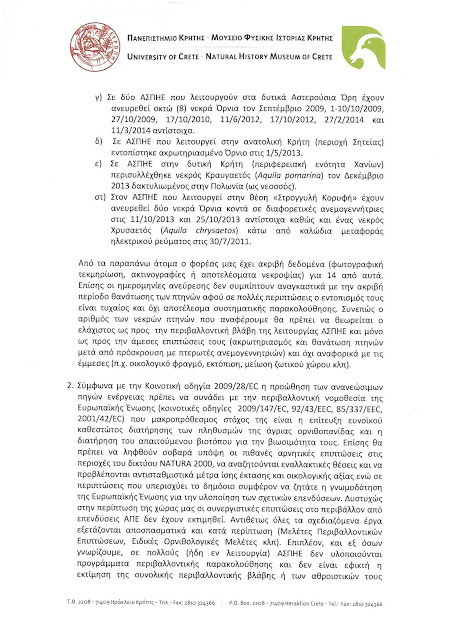 Κομμένο κεφάλι και αριστερή φτερούγα από πτερύγιο αμενογεννήτριας. 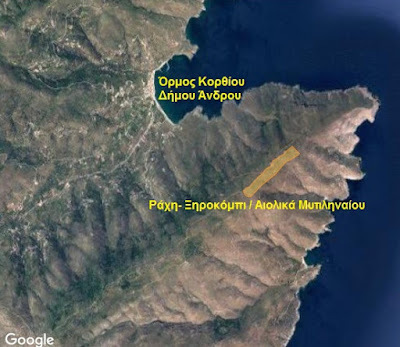 Τρίτο κρούσμα το 2018 στην Tomamae, Hokkaido και 28η πρόσκρουση θαλασσαετών στην ίδια πόλη. 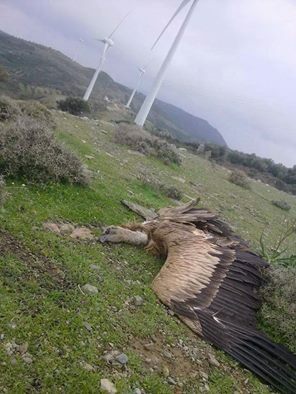 "Efforts intensified to protect birds from wind turbines"
"...Since the plant started generating power, carcasses of white-tailed sea eagles have been found near the wind turbines. The white-tailed sea eagle is designated as a vulnerable species in the ministry’s Red Data Book as its risk of becoming extinct is increasing. 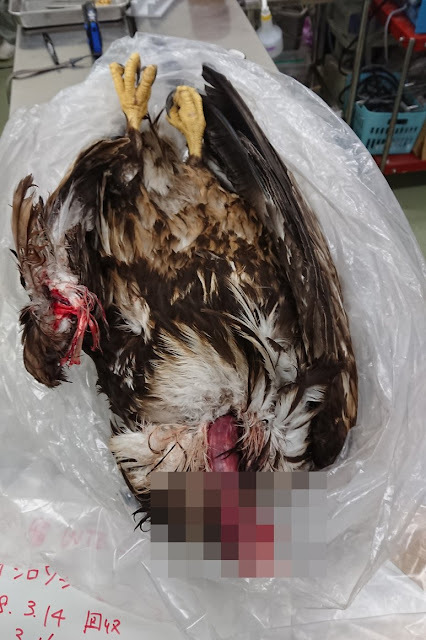 According to the ministry, there were 42 cases nationwide of white-tailed sea eagles being injured or killed in bird strikes from 2004 to March 2015. 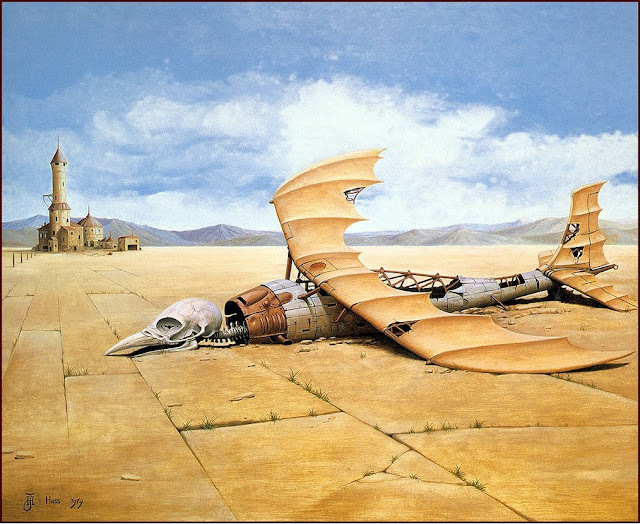 Of those, only one was found alive. 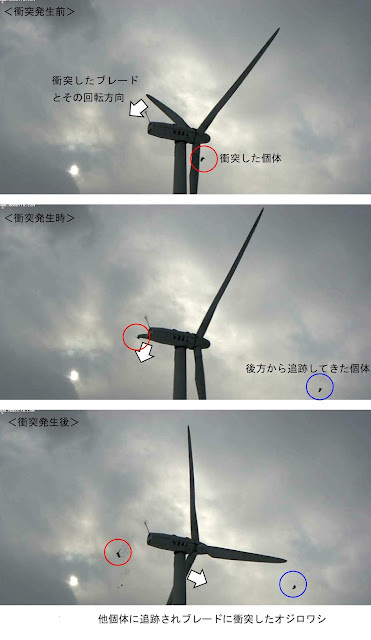 Excluding two cases in the Aomori Prefecture, the remaining 40 were all in Hokkaido of which 23 were in Tomamae.Tomamae’s eye stickers were placed on the turbines in July last year, with support from the Environment Ministry. 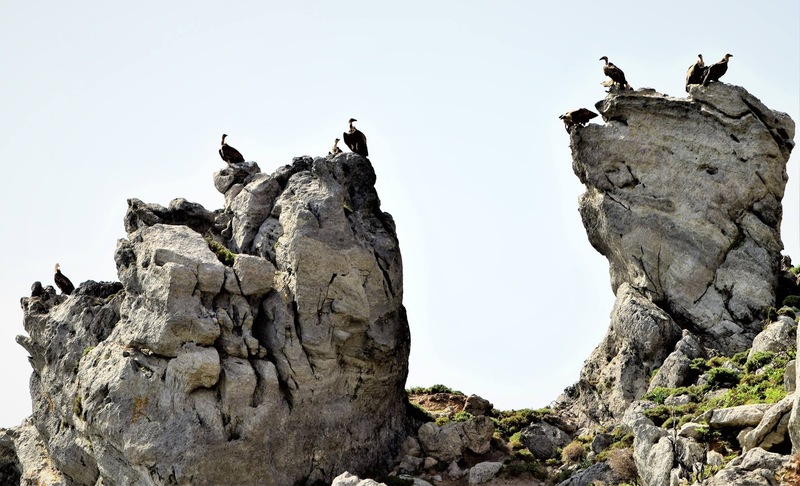 As white-tailed sea eagles feed on river and sea fish, they usually look downward when they fly. 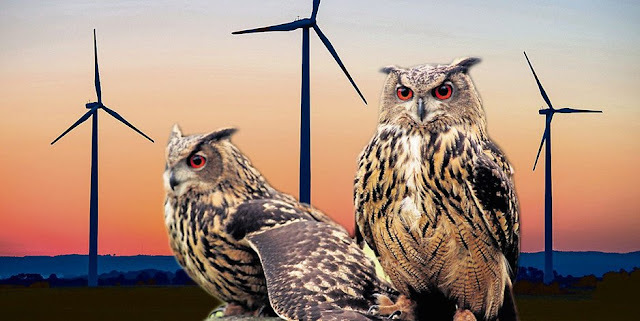 It is believed this makes them prone to collisions, as they fail to notice wind turbines in front of them. To make wind turbines more noticeable to birds, the town has decided to introduce the stickers of eyes, which birds are known to dislike. 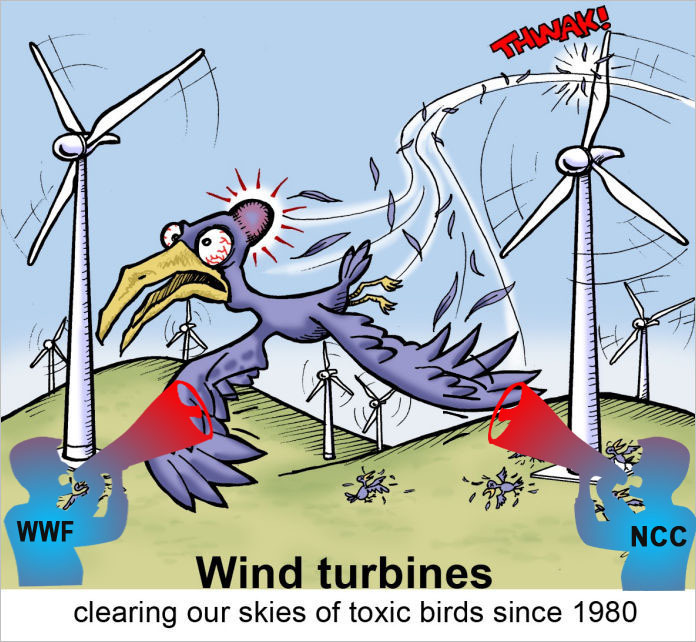 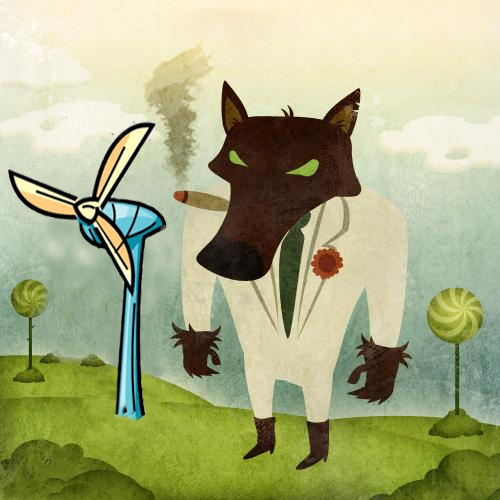 Wind turbines are practically invisible when they rotate at high speeds, which is another contributing factor. 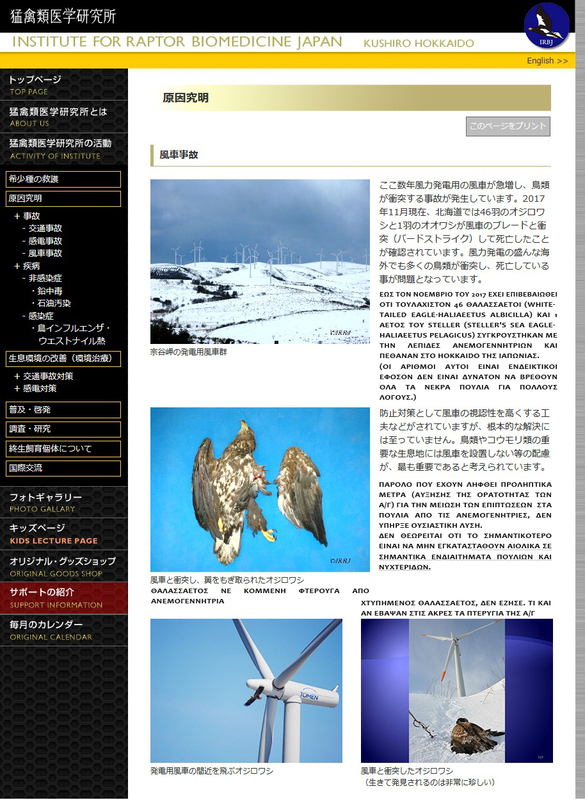 It is also believed that visibility is reduced by snow in cold regions, and white turbines blend into the background. According to the Wild Bird Society of Japan, which has been collecting data on all wild birds injured or killed by bird strikes since 2001, there have been 341 cases across 11 prefectures, including Iwate, Fukushima and Ehime but excluding Hokkaido and Aomori. 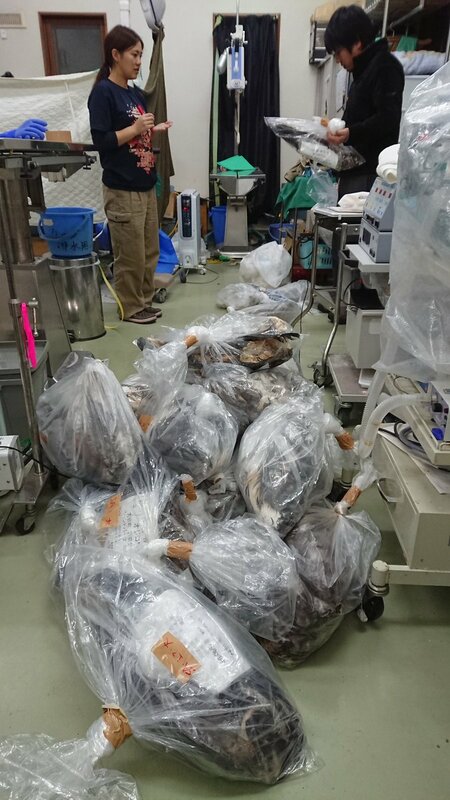 Tatsuya Ura, a senior researcher at the society, said: “There are cases of carcasses being eaten by other animals, which leave no trace of accidents. More birds are probably being killed.” Researchers have yet to find a sure-fire method of preventing bird strikes. 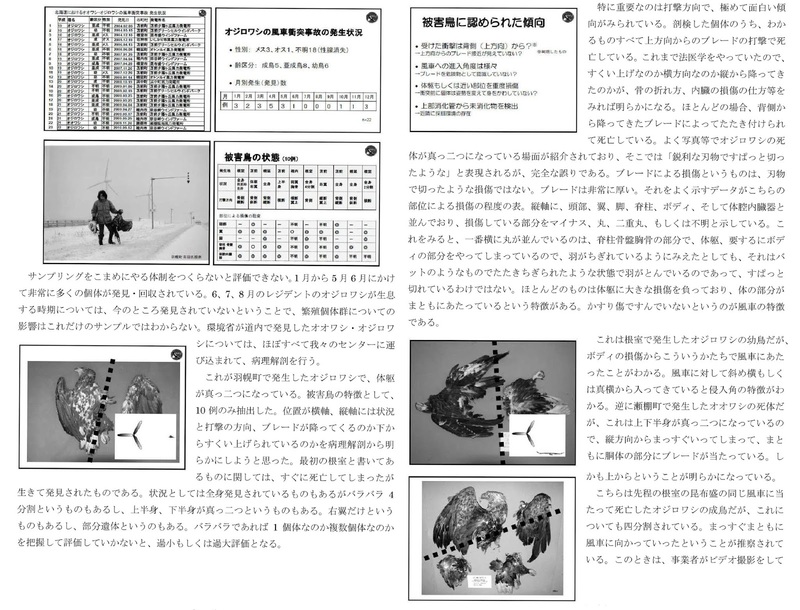 Last year, the Environment Ministry conducted a series of experiments at a cape in Nemuro, Hokkaido, using a device that emits the sounds of gunfire. 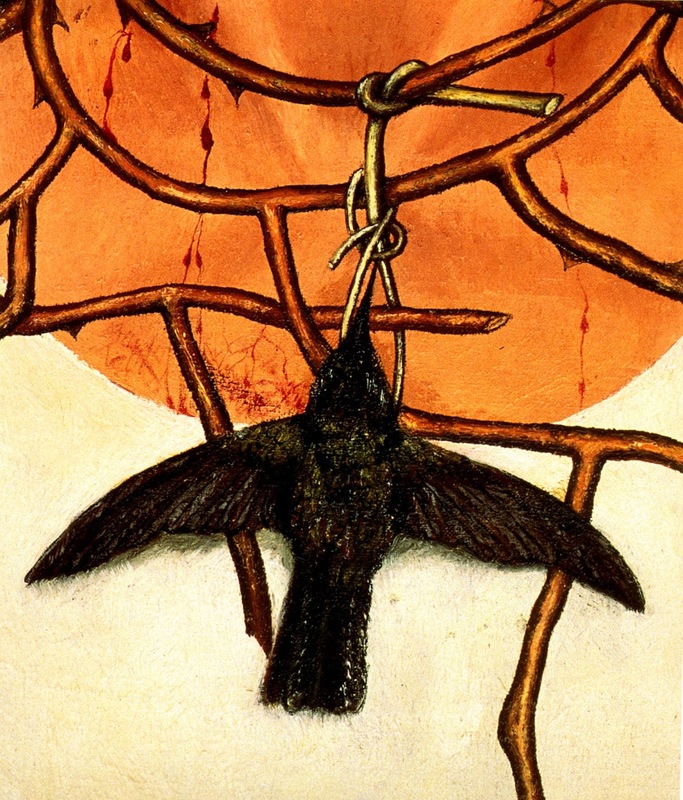 Although many birds reacted to the sound by slowing down or temporarily flying higher, there were only a few that changed direction in response to the sound. A US study suggests that scaring birds with scarecrows does not have a lasting effect..."
Αυτή είναι η φρικτή αλήθεια σχετικά με τα αιολικά σε σημαντικές για τα πουλιά περιοχές.